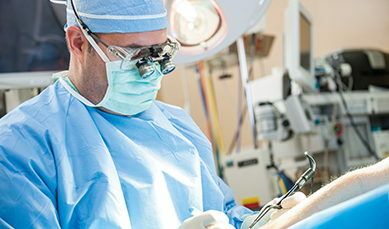 A broad range of surgical expertise is available from the Surgery Department at DeKalb Health. Our surgical specialists are on call twenty-four hours a day, seven days a week. While a hospital stay may be required in a number of cases, many of our surgical procedures are available on an outpatient basis. Our surgical staff works closely with DeKalb Health staff in the Intensive Care Unit, the Recovery Unit, and with the specialist in pain management and infection control. All this is done to make each patient's stay as safe and comfortable as possible. For more information, call 260.920.2639.